We have completed over 900 tax credit units. Our projects have included everything from new windows and roofs, to plaza deck repairs, landscaping, unit interiors, HVAC, plumbing, electrical, and more. Many of our projects are fully occupied during rehabilitation, and a few have relocated residents for all or part of the work. 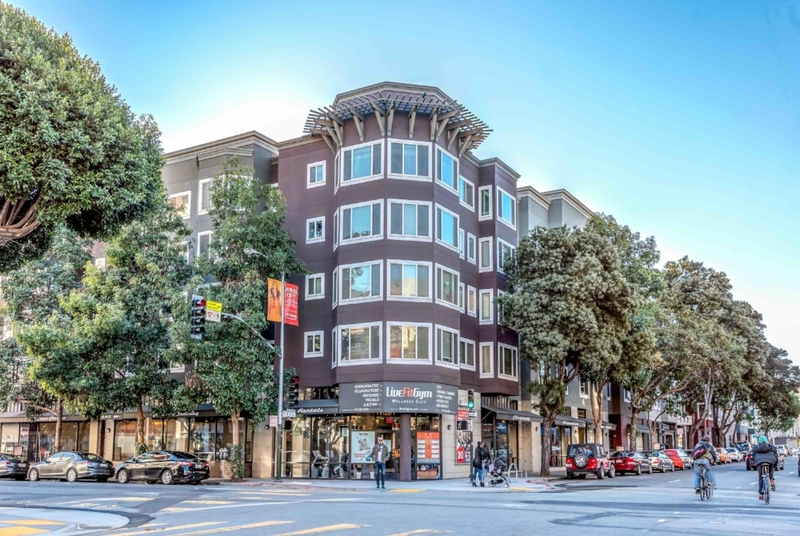 This family complex in Hayes Valley got a much needed reinvestment. These studio and one bedroom units recently under went a major renovation that included tenant relocation, new plumbing systems, and all new unit interiors. A senior property in the East Bay was in need of repair. In addition to mending the source of water intrusion, we added energy efficiency and solar. This serene garden-style planned unit development got a new skin, and a brazen new color scheme. This family property was refreshed with a new skin, new solar, a proper leasing office, and a community pavilion. This mid rise tower originally constructed in 1971, got a major reinvestment in this gut rehab - with all new unit interiors, new plumbing, electrical and HVAC, and a new community room. 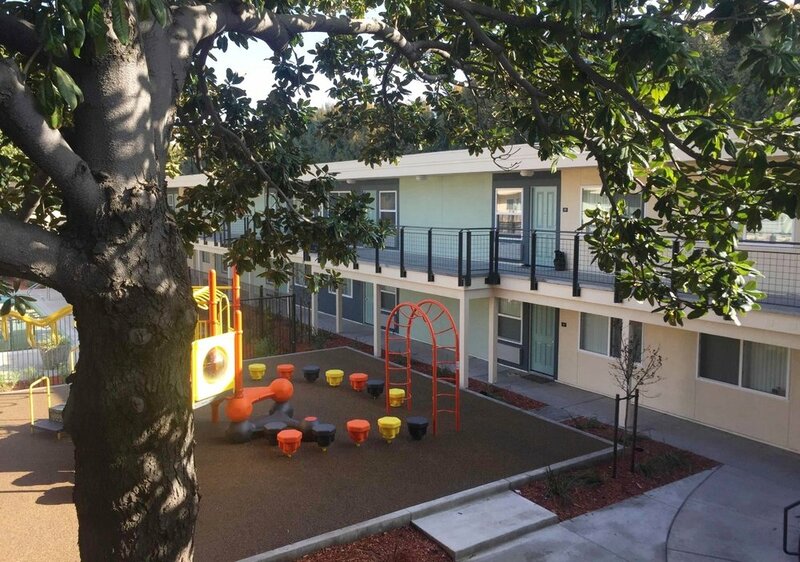 This mid rise tower home to 76 seniors in mid town Sacramento expanded their community room and added a roof deck. This ribbed concrete panel mid-rise tower is well located on K Street in Sacramento. Upgrades included all new unit interiors, and a community room expansion to activate the streetscape. In the center of San Francisco's Japan Town, this stucco mid-rise tower had already undergone a failed repair. We were brought in and were able to salvage some of essential elements, including the windows. This quaint senior property received a new roof, gutters, downspouts, and siding repairs. Currently in design, this 120 unit property in Santa Rosa is ready for a facelift. Currently under construction, this attractive property needed a surgical window replacement, unit interior upgrades, and accessibility upgrades. 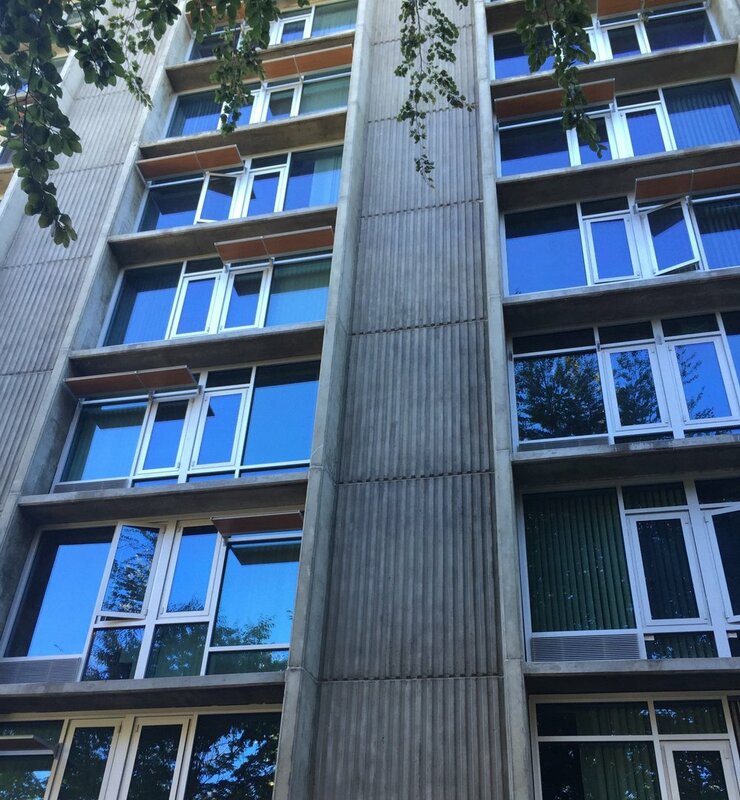 This sprawling 120 unit family complex, originally constructed in the early 1970's had active water intrusion that needed a speedy repair. Currently under construction, this project's original hardboard siding was failing. 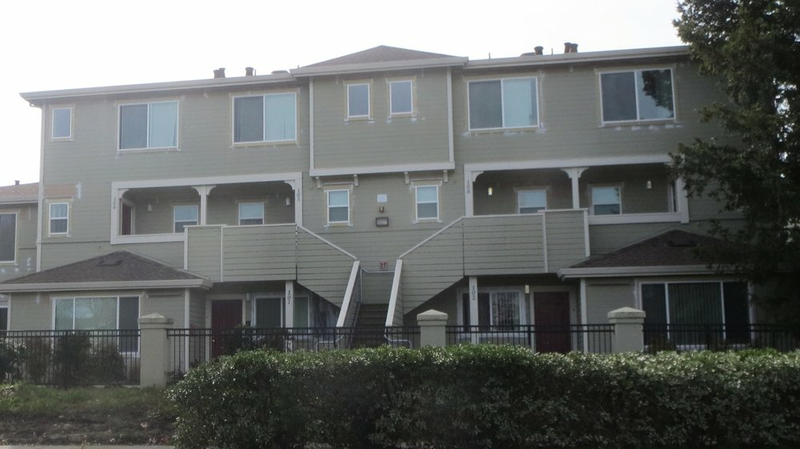 The project included new siding, windows, balconies, and a fresh paint scheme.